Sausage is a popular type of food that is found all around the world. 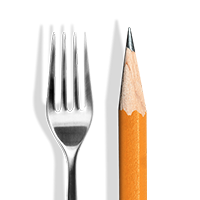 It's an ingredient that is found in a variety of foodservice settings and is often paired with beer. But in recent years, instead of buying sausage from stores, many establishments are choosing to make their own sausage. 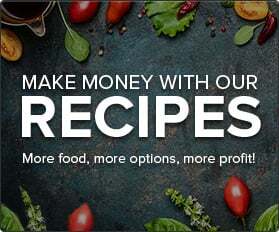 Keep reading to learn why you should consider making your own sausage, what components you'll need, and the steps you need to follow to make sausage. Making your own sausage is more inexpensive in the long run. It is cheaper to buy ground meat, seasoning, and sausage casings and make the sausage yourself than it is to buy it from a store. 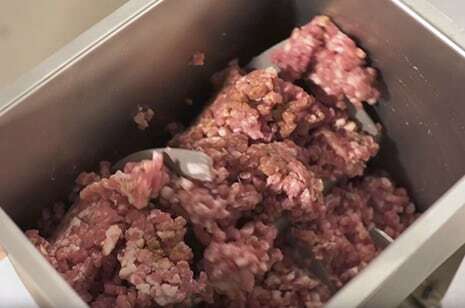 If you want to cut your food costs even further, you can also learn how to make your own ground meat. Homemade sausage tastes better. Some grocery stores and delis may use scraps and undesirable cuts of meat to make their sausage with. When you make your own sausage, you can control what type of meat you use, resulting in more flavorful sausages. 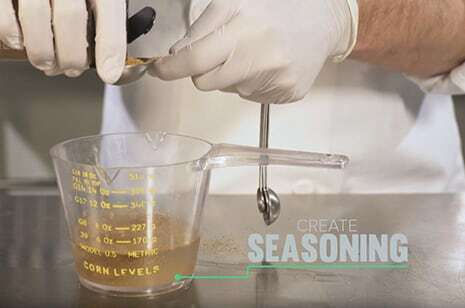 Preparing your own sausage allows you to experiment with different seasonings. 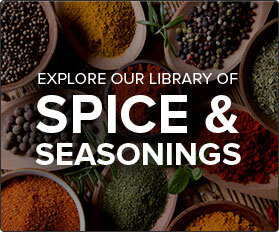 There are a variety of different seasonings and ingredients that you can add to your sausage. 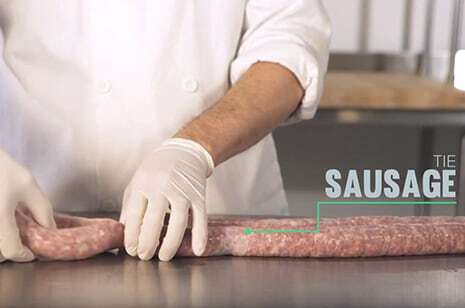 Making your own sausage allows you to adjust the flavors, so you serve your customers the best option possible. If you don't have a meat grinder in your establishment, you can also use pre-ground meat. 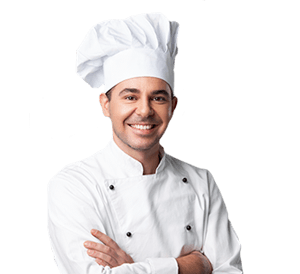 But, freshly ground meat tastes better and allows you to adjust the coarseness and fat content in your ground meat. Insert the cold meat into the hopper of the meat grinder. Make sure that the meat is cold before grinding. 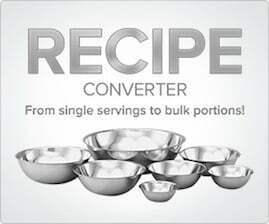 Add several types of herbs and spices together in a separate container. Add the ground meat to the meat mixer. Then, add the seasoning mixture and turn the handle on the mixer until the meat is thoroughly coated. 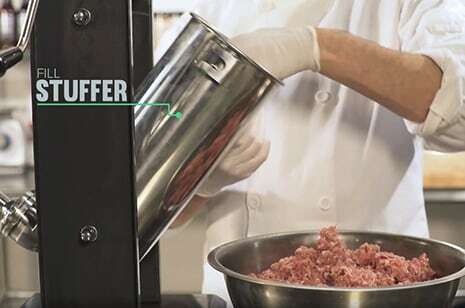 Fill the tower on the sausage stuffer with the ground and seasoned meat. 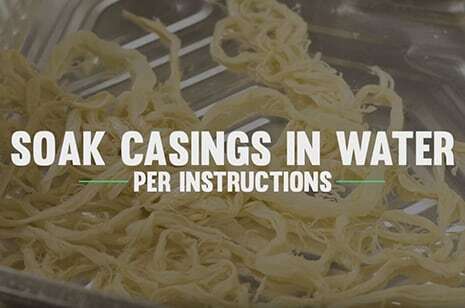 Soak the casings in cold water according to the instructions on the packaging. To make the casings easier to slide onto the funnel, run warm water through them first. Once the casings have soaked, slide them onto the funnel of the sausage stuffer. 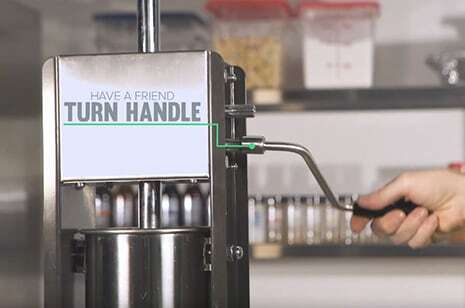 Turn the handle on the sausage stuffer to lower the plunger. The ground meat will then be forced out into the sausage casings. 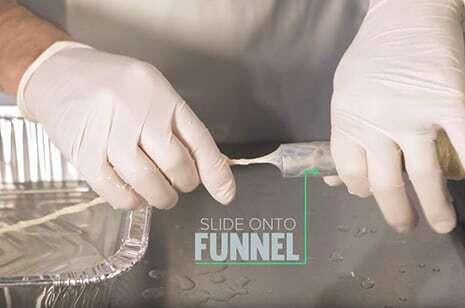 Keep one hand near the opening of the funnel to ensure the casing goes on smoothly. With the other hand, guide the sausage onto the table into a spiral shape. When the casing is full, tie the end off into a knot. 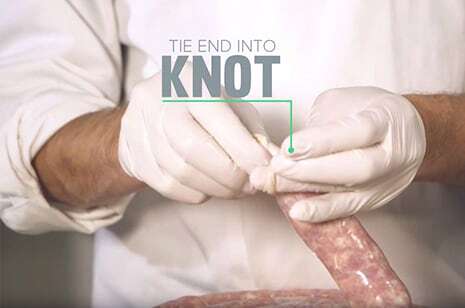 You can choose to twist the sausage to create links or keep it as one long strand. Then, the sausage is finished and is ready to be smoked or cooked. Making your own sausage is simple, and it's an excellent way to cut food costs and provide your guests with a fresher and tastier dish. So, next time you come up with a recipe that uses sausage, consider making your own. 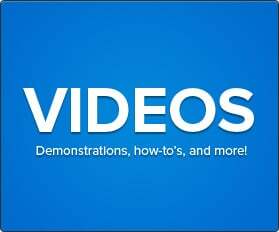 For a visual representation of how to make sausage, check out the video above.